My generation doesn’t know who they are. We are constantly trying to define ourselves by which start-up, which brand, which branch, which group, which career, which university, which personality . . . get it? We want so badly to be someone, but at the same time, we don’t want to be like everyone. It is a dilemma to be sure, and many of us are approaching adulthood and struggling through identity crises. But there’s good news. However, for Christians, our identity has been defined, and who we are has been cleared. We are in Christ. This was a very timely read for me. I feel like I could read it again already, although I have just finished it about two weeks ago. 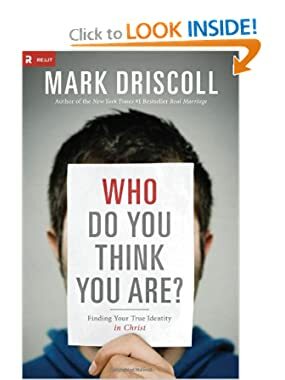 Mark Driscoll, pastor of Mars Hill Church in Washington State, presents a very easy, clear, and challenging look at our identity as found in Ephesians in his book Who Do You Think You Are? I thoroughly enjoyed this journey through Ephesians because it challenged my ideas of identity and finding my identity in what I did or who valued me. Rather, as Driscoll points out, our identity is bound up in Christ and His finished work on the cross. Driscoll walks through each section of Ephesians and shows us what our new identity in Christ looks like. What does it mean to be redeemed? How does my interaction with others change? How do I act if I really believe I am forgiven? This book was really helpful for me to hold up a model for what my life ought to look like since I have been bought with a price, and since my identity has been changed. It was an encouragement to see how I could let go of the things that were holding me back, and at the same time it was a challenge to actually let go of those things that are holding me back. I am now a child of God. What happened in my past cannot weaken His power or grace. I cannot grovel in my past failures, or boast in my successes, because all of it has been stripped away, and I have been given a new persona. I am Christ’s image-bearer here, in this world, for this time. Driscoll has also been preaching the same series at his church in Washington, so I have been listening along online. It has been great for me to really revel in the Gospel and in the finished work of Christ and what that really means for my life. Listening and reading to the same message has challenged me to seriously think through how I am living and who I view myself as. Because that view really does invade and influence the rest of my life and interactions. I would highly recommend this book for any Christian who has ever struggled with their identity in Christ and what that practically looks like. 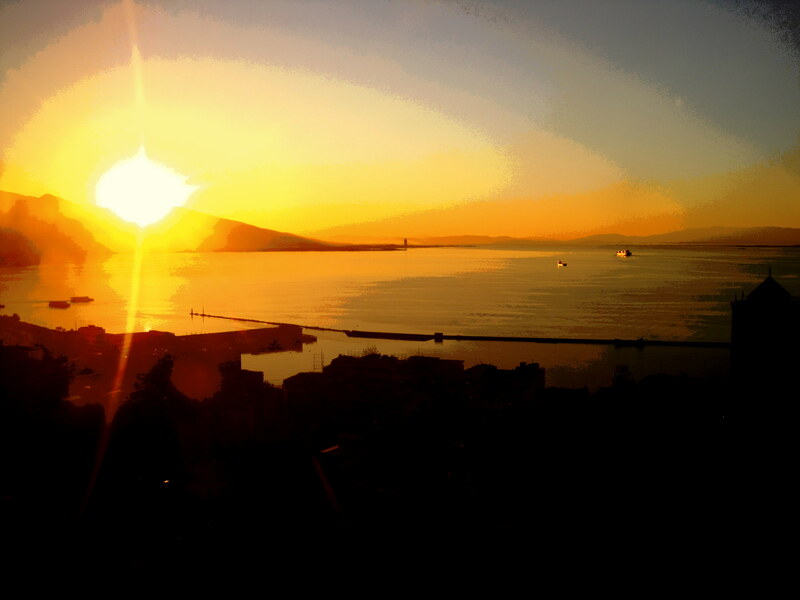 If you have ever wallowed in guilt and wondered how to rise up from it? 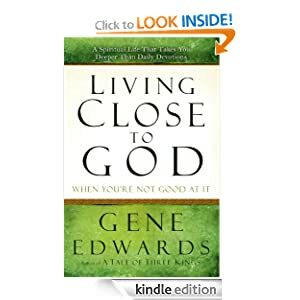 If you have found yourself struggling with pride and wanted freedom to truly serve Christ, then this book will help you to explore who you now are and what the new you should do and look like. Perhaps one of your resolutions this year was to spend less time on technology, which in my opinion isn’t a bad a resolution! But, at the same time, I think that there are some technological resources available to help you achieve more of your goals this year. I want to share just a few that I have been either looking at or using recently. My favorite resource for staying fit so far in 2013 is POP Pilates on Youtube (for girls!). What I really like about this is that there is a wide range of videos that are simple, upbeat, a good workout, and of different lengths. I did complete a month of Insanity earlier this year (which consisted of about 40 minute workouts), and I had stopped that because I simply did not have the time. So, I figured that if I wanted to do something sustainable, I needed to start short. The Pilates videos range from 10-30 minutes, and they do not require any equipment. So, if you are looking for something to get into to help build a habit of working out, I really suggest checking out this channel!! I had really wanted to find a way to motivate myself to read my Bible more in 2013, and I have really been loving this app from iTunes. Faithlife allows you to connect with other people and follow a Bible Reading plan together (you can choose from several available reading plans.) The app shows you where to read each day and marks when you have finished. You can also add notes and share them with your community group. On top of all of that, there are a lot of in-app resources like pictures, videos, free books, etc. This app is awesome!! 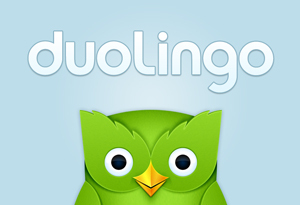 Duolingo is one of the best language learning apps I have ever seen. I have really enjoyed it so far for refreshing my Spanish, but I am hoping to start French very soon as well. Maybe this isn’t a goal for you, but I know for myself, I want to get better at keeping up with blogs and twitter for professional development purposes as well as for work on my own blog. So, the app that I have been really enjoying for this purpose is Flipboard. Flipboard takes the blogs, tweeters, RSS feeds, and Youtube channels you follow (as well as other popular or trending topics) and puts them into a beautifully designed layout that is really easy to read quickly and gives you easy access to the original articles as well. If you have an iPad, I especially recommend it as the iPad app is really nicely laid out and useful. How many pages did you read in Turkish today? You set the time, and every day at that time, the program will send an email asking you those questions. You simply reply to the email, and the program can keep track of your statistics and chart them out over time. I will have to see how the program works out for me, but it sounds like a great idea! What resources are you using to help yourself achieve your goals this year? I’d love your suggestions!! Leave them in the comments below! No, actually, I have a relationship with Jesus Christ. He died for me, to buy back my soul after I had betrayed Him by being born as a sinner. He has a master plan for this world, and that includes me knowing about Him, and believing in Him. I truly do believe in Him, and if I believe that God humanized Himself so that He could die to pay a price that I was incapable of paying, raised from the dead, because it is impossible for a real God to stay dead, and in doing so has created a hope that I could live with Him eternally, I don’t really see how I can have another response than to live in a relationship with Him. You don’t often let someone sacrifice something great for you and then ignore them for the rest of your life. I’m not religious. I am not working to attain something better after I die. I have been given something better that is being reserved for me for after I die, and I live in a relationship with God here, realizing that all of what this world has to offer is but a shadow of the better things that He has in store. I set standards for my life because I don’t want to be so caught up in the here and now that I miss out on a relationship with Jesus. As Christian, I have taken on His name, and I represent Him now. If He was willing to die to start a relationship with me, then I am willing to give up some things here to keep a relationship with Him. I’m not religious, I’m friends with Jesus. I shared a post on Wednesday about a book I’d been reading that made me think a lot about where I am and what I am experiencing as an American living in a foreign country. Thoughts have been romping around my head the last few days, refusing to sit still and let me make sense of them. But every now and again I catch a snippet of their truth, and I am content to know that there is indeed some truth hidden inside of them. I don’t have to understand it all now, one day I will. that remind me of there. They point and mimic and echo. and they never can be. So, I’m stuck holding onto a shadow. I’m always groaning for more. that I’m left without sight of home’s door. I’ll never fully fit in. and I’ll be home . . . forever . . . with Him. My husband and I had a really good conversation tonight. It’s Christmas time again, so time for the questions about where we can and cannot have Nativity Scenes again. I’m not really going to touch the subject. But, Jeremy and I were talking about tonight about how important it is for everyone, and Christians in particular to understand culture and how it relates to religion and life. This semester has been an eye-opening adventure for me in respect to issues such as religion, race, class, and ability. There’s a lot that goes into it, and because I doubt my ability to clearly and adequately articulate it tonight, I’m not going to expound. I would like to mention however, the topic that started our conversation in the first place. The offensiveness of the Gospel. In hearing people get upset and raise issue with Nativity Scenes at this time of year, or many other things that seem to aggravate people at other times during the year (take for instance the Tim Tebow phenomenon), we Christians should not get up in arms, we should not respond with harsh criticism or anger, we should not tell all of the people they’re wrong. Why? Because, the Gospel IS an offense. The Gospel does make people uncomfortable. It still makes me uncomfortable at times. The people are responding the only way they know how to without Jesus. We’ve known that this is the case, we’ve read it in the Bible. For it stands in Scripture: “Behold, I am laying in Zion a stone, a cornerstone chosen and precious,and whoever believes in him will not be put to shame.” So the honor is for you who believe, but for those who do not believe, “The stone that the builders rejected has become the cornerstone,” and “A stone of stumbling, and a rock of offense.” They stumble because they disobey the word, as they were destined to do. So, just don’t forget. This is how it’s supposed to be. Not in God’s perfect, restored world, but in a world confronted by the truth of Jesus Christ. Rejoice in that, and pray for opportunities to share the offense. And, on the topic if Nativity Scenes, isn’t this one beautiful?